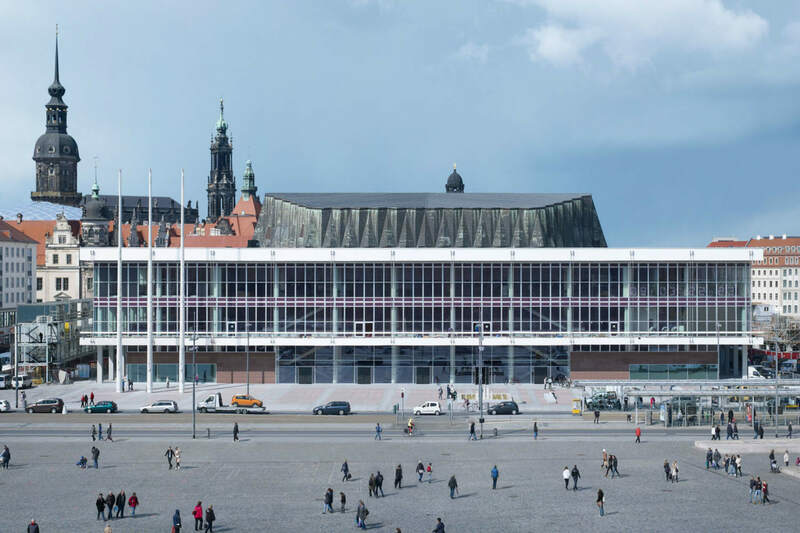 A modernist box is located right in the middle of Dresden’s old town: the Kulturpalast with its glass facades and striking roof structure. Centrally located between Altmarkt and Neumarkt, between Frauenkirche and Zwinger, the former GDR building is now once again one of the most important cultural places in the city – after renovation and conversion by gmp architects von Gerkan, Marg and Partners of Berlin. 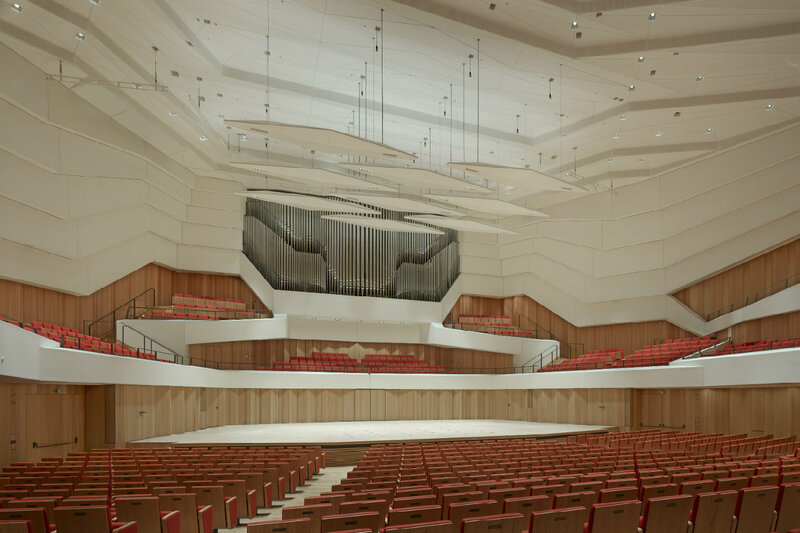 The heart of the building is the new concert hall for the Dresden Philharmonic. In addition, the municipal libraries, the cabaret “Herculeskeule” and a bistro have moved in here, which enliven the house throughout the day and into the evening. For a long time, it was by no means certain that the Palace of Culture, opened in 1969, could continue to provide a pleasant contrast to the small, reconstructed idyll of the old town: for years the demolition of the building was discussed, the acoustics of the multifunctional hall were inadequate. But in 2008, the city decided to renovate and put the “Kulti” under a preservation order. 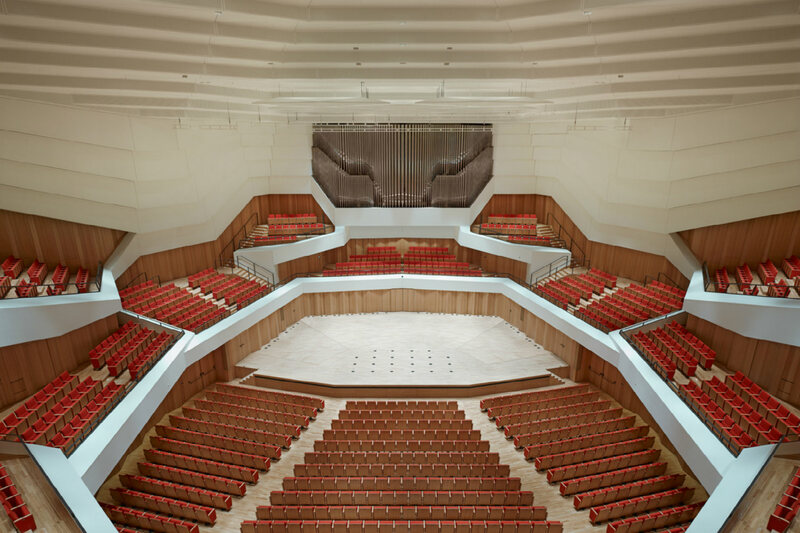 In 2009, gmp Architekten won the international competition, leaving the appearance of the building largely untouched and incorporating a new concert hall for 1,750 spectators. 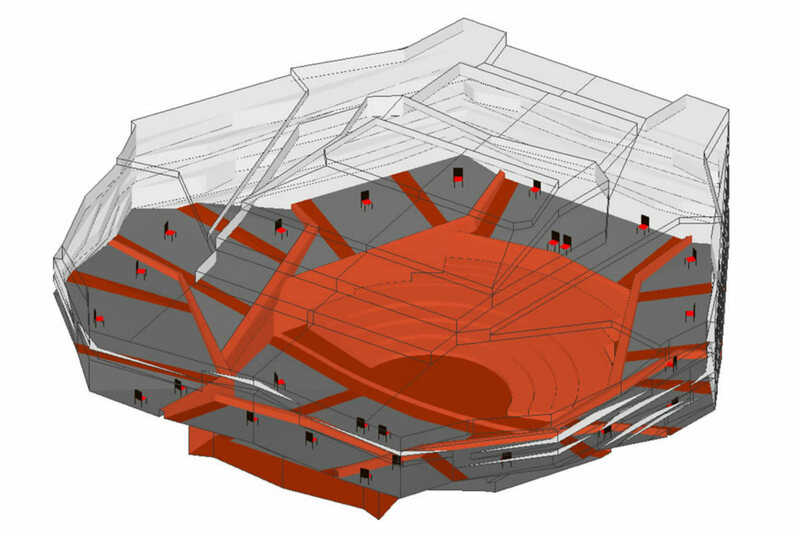 The main venue of the Dresden Philharmonic follows the “vineyard” concept: the podium has moved into the center, the audience approach the orchestra in ascending ranks. Folded ceiling and wall surfaces provide a good sound, wood paneling and red seat covers for a formal atmosphere. 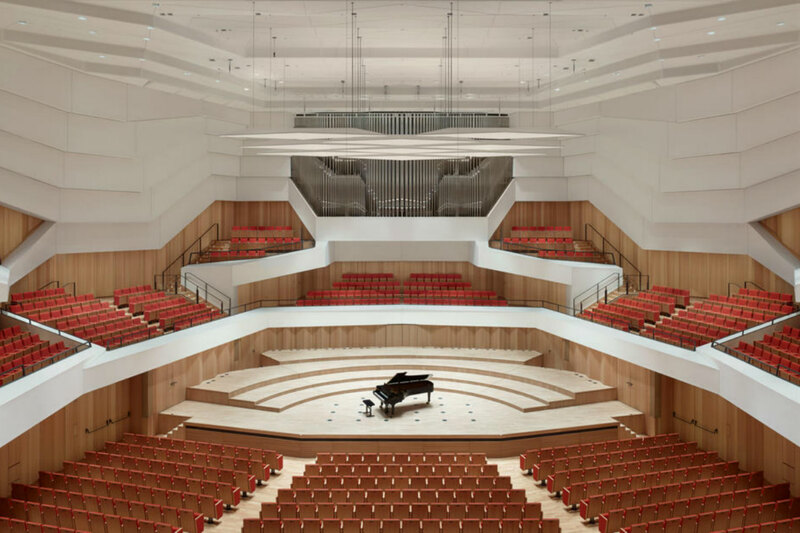 The first reviews confirm that the new hall has very good acoustic qualities. 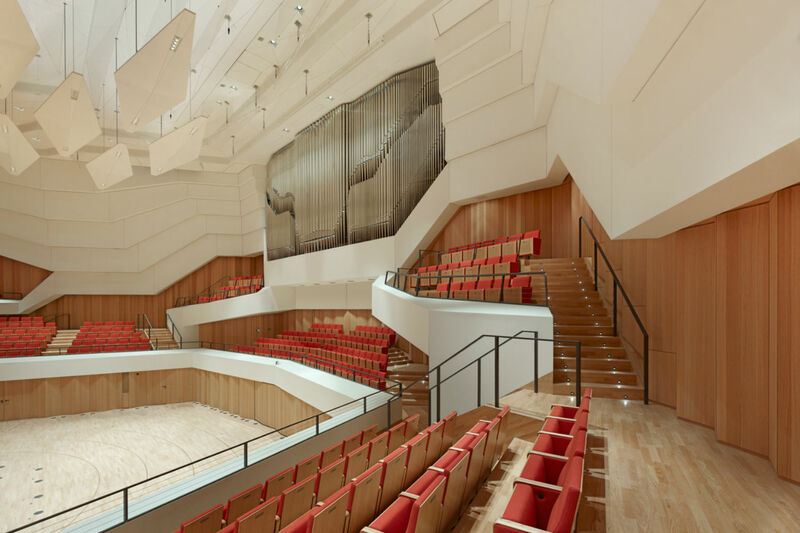 ADA (a WSDG company) was the responsible acoustician for the owner and oversaw the works of design acousticians and theater technology planners Peutz (Dr. Vercammen and Margriet Lautenbach MA) and Daberto & Kollegen Munich. 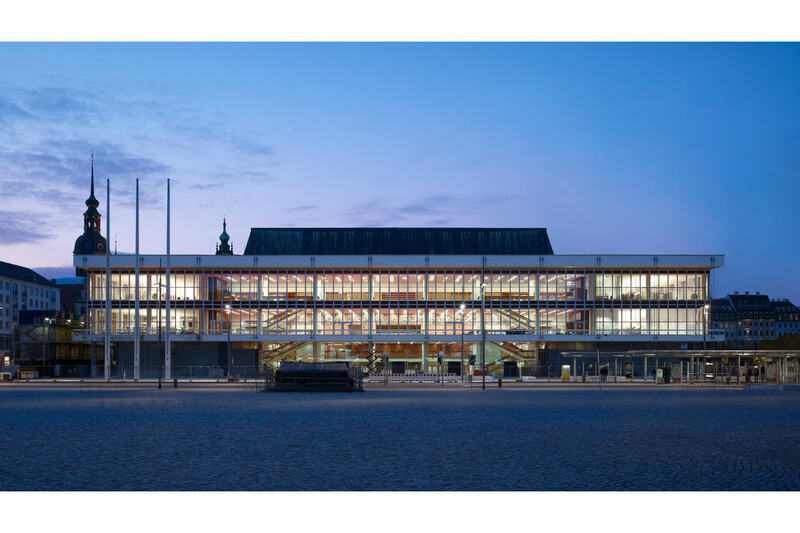 gmp – Architects von Gerkan, Marg and Partner have transformed the Kulturpalast with its mixture of uses into a place of informal, civic encounter. The external appearance of the now energetically renovated building and the basic spatial organization with the large south foyer were retained. The design of the publicly accessible interiors also remained largely in the original style, but were completely renovated. The appreciation for modernity should be particularly beneficial to the historical complexity of the city. In contrast to the newly planted heart, the shell celebrates the spirit of Eastern Modernism – with bronze doors and grid ceilings, with socialist art in architecture such as the mural “The Red Flag” and the modern wall fresco “Our Socialist Life”. The biggest visible change: gmp architects replaced the once golden-mirrored façade glazing with transparent and green-energy-optimized glass. 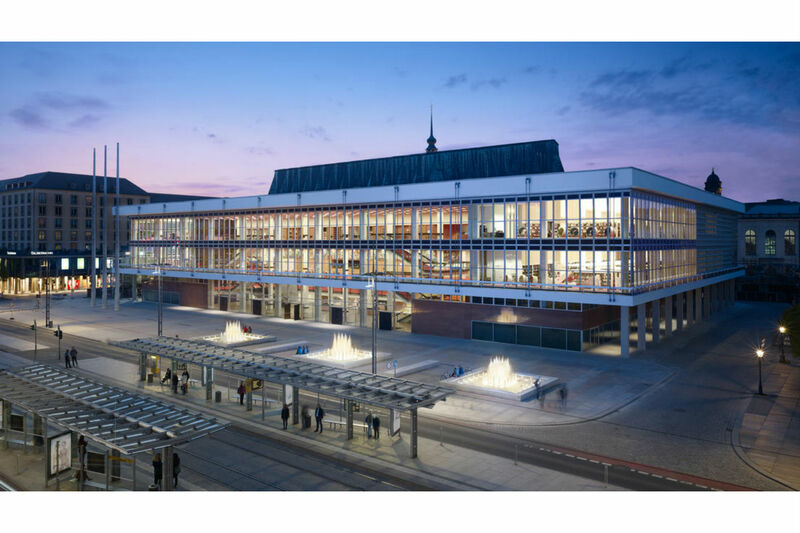 The spatial organisation with the south foyer to the Altmarkt (Old Market Square) as the focal point of the building has been preserved. The Dresden Municipal Libraries are located on the first and second floors, their rooms include the concert hall. The library offers a total of 450 visitor seats and is one of Dresden’s most popular cultural institutions. 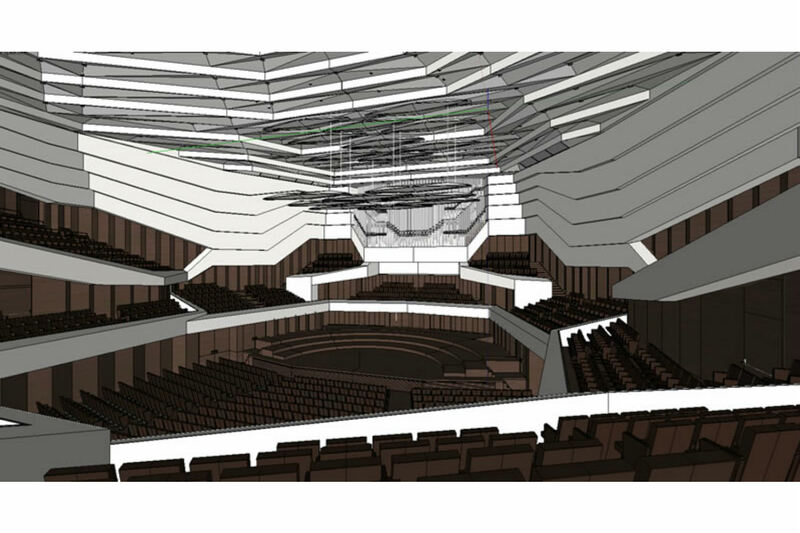 Visit the Kulturpalast Dresden Official Website!